Sundays were always special because mom didn't work on that day. She was tired from six straight 10-hour nights of waiting on tables. No one could blame her if she didn't feel like cooking, cleaning or driving. 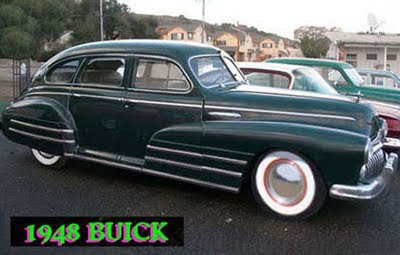 She'd let me drive the old Buick my Grandpa had given us, and by old, I mean made of steel and without power steering. Driving to Louie's Drive-In to pick up tamales and comic books was my job. I was twelve and very responsible, but in my mother's mind, I think that meant I was thirty-two. "Aren't you going to school?" I wanted her to make me go, but Mom couldn't even make herself come home after work. On some days, she didn't make it home at all. The Sunday I gouged out a hunk of my thigh in a bicycle accident I needed stitches, but didn't tell Mom about it when she finally came home. She didn't notice anything until years later when she asked about the huge scar on my thigh. I passed thirteen and we fought and I challenged her and we fought some more. I was angry all the time and mean to my little brother. On Sundays Mom was exhausted and withdrawn. She cooked, but there was no laughter. I stopped reading comics in the Buick, but read Dostoyevsky by the light of a little portable electric heater bedside until Mom's car entered the driveway. I'd quickly shut my book and pretend to be asleep. We didn't talk until I decided to go live with my Dad in Texas, and then I slept with her and my brother every night until the day arrived for me to leave. It was my last belonging. For the year that I was gone, we remained close. Her letters were long and full of love and trivia. When she called long distance, she'd ask if I wanted to talk to my dog and cat. Long distance was expensive in those days and the gesture meant a lot to me. She was home, she was family, and my dad and his new wife were not. I returned to New Mexico carrying the secret Mom had shared with me in her last telephone call: I now had a baby sister. Dad squeezed his Caddy between the telephone pole and the wall and made it down our narrow drive. Before he'd turned off the motor, I'd jumped out and entered my mother's waiting arms. She looked tired and ill. She'd had to stop waitressing as her pregnancy advanced, and had taken a babysitting job for a family that lived in a trailer park on the outskirts of Santa Fe. There was a real outdoor swimming pool there, and my brother and I swam everyday under our mother's watchful eye. My dad wept when he found out about my sister. He begged me to return to Texas with him and warned me about the bad boys who would swarm all over me when they found out about Mom. He frightened me, but not enough to endure my stepmother again. Winter and high school and bad boys were months away. Mom was resting and getting well and eventually she'd return to night work. In the meantime, those days at the trailer park pool were like a summer full of Buick Sundays.